We are renovating this website from stem to stern (or from System 1 to System 12)! When done, it will work as well on your cellphone or tablet as your full-size computer monitor, so you can work your way through every page in this site in your spare moments (you know, when you are waiting for the dentist, or in a restaurant, or with friends who are also staring at their cell phones! If you are on a path of enlightenment—and that's probably why/how you found us— you have probaby encountered various energy systems: Reiki, the Hindi chakra system, or one of any number of others. Millions have found these systems to answer most of their questions and give them a bedrock on which to build their present and future lives. For many others, and possibly you, however, these systems may not ease the longing. The question then becomes, What next? Most of the energy systems out there, acknowledge seven points of importance. However, ONA acknowledges 12. We see this as a logical progression as our collective awareness has allowed our perceptions to broaden. For example, 200 years ago the existence of X-rays was utterly unsuspected by Human on Earth, yet they were (and are) merrily whizzing through us every second of the day. 400 years ago no one suspected infrared or ultraviolet wavelengths existed; but we now know they are there. Back in the day over a thousand years ago when the Hindus were formalizing their metaphysical discoveries and described the 7-chakra system, they based this on the faint colors emitted from each point, as perceived by certain trained sensistives. 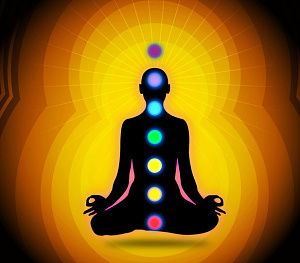 They acknowledged there were many other chakras; but the seven that had visible colors seemed to them to be the most important; and they built their entire metaphysical system around them. And that was absolutely appropriate for Humankind at that stage of development. But what if they'd been aware of, and able to look for, infrared and ultraviolet colors? We are now, and can. And we find there are twelve energy points. We also see that, beyond the mere "spinning wheel" (the meaning of "chakra" in Hindi) within the body, the chakras—we call them "Centers"—there are multi-dimensional structures that extend from these points and those structures are actually a lot more interesting—and useful—than the Centers! Intrigued? Then check out what we have to offer. You might start with "Introduction" on the menu. 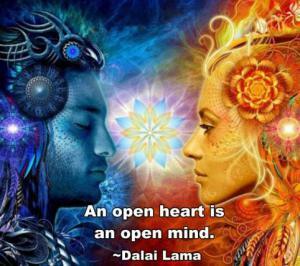 We welcome you with open hearts. Please welcome us with open minds. ONA is not a religion. It is a scientific inquiry into observed phenomenon that proposes solutions to common problems that plague Humankind, such as poor health, unhappiness, and the longing for something we cannot see. So far, we have found the results to be nothing short of amazing; but as always, your results may vary.